More than 15 public movements will be registered on Friday as participants in the elections of the Supreme Council (parliament) of the Donetsk People’s Republic (DPR), head of the DPR Central Election Commission Roman Lyagin said on Friday. Lyagin said that the republic would have a traditional ‘day of silence’ on a Saturday just before the polling. As the name implies, any canvassing or election propaganda will be prohibited on that day. “We will see to it that each candidate has equal air time for campaigning on the republic’s three television channels: Oplot, Novorossia, and First Republican,” he noted. The Central Election Commission, according to Lyagin, would form mobile brigades on the day of voting to reach militias in the frontline. 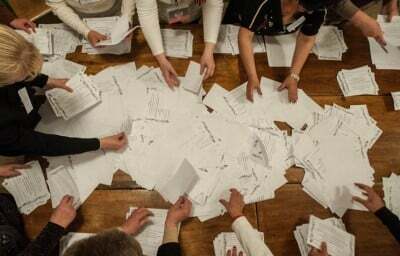 A total of 723 polling stations of more than 2,000 existing on the territory of the self-proclaimed Donetsk People’s Republic will be open on the day of election, which will be held either November 2 or November 9, Roman Lyagin, the chief of the republic’s Central Election Commission told reporters on Friday. He admitted that the authorities of the self-proclaimed republic had not allocated the funds for holding the election and none of the voters had registered for observing the election procedures yet. “On the election day, the polling stations will open at 08:00 hours and will close at 20:00 hours but if risks for people’s lives emerge, we reserve the right to interrupt voting at any station or to change the hours,” Lyagin said.